Created to provide helpful information about the Washington Cannabis Industry. If you are planning to take advantage of the LCB’s free traceability portal, provided by MJ Freeway, that is your right. However, if you do not wish to use the free option provided by Leaf Data, you are able to continue utilizing the UCS as your reporting interface for a monthly fee of $99 per license. If you are interested in this option, please submit your payment via https://wa.biotrackthc.net/ before February 5th or you will risk not gaining access on time. If you have any questions related to this option, please email btucs@biotrackthc.com. If you plan to continue using the BioTrack UCS Service for $99 month, please follow this set of instructions. Otherwise, continue with bullet #2. If you are utilizing a 3rd party software solution other than BioTrack, your access to the UCS will be turned off as of midnight, February 1, 2018. Please work with your software provider to ensure you are reporting to Leaf Data ASAP. For anyone interested in upgrading to the commercial BioTrackTHC, we are able to ensure your compliance reporting is fully automated. Please contact our sales team for more info. Beginning tomorrow, 12/1/17, all licensees utilizing the Washington UCS will need to contribute $50 per license to support the upkeep costs of the System. You will be able to submit this payment through a portal on the UCS homepage at https://wa.biotrackthc.net/. The payment button will become available shortly. Licensees have until midnight on Wednesday, 12/6/17, to submit payment or they will be unable to access the UCS. BioTrackTHC commercial customers will not have to pay the monthly fee as we will be covering it on their behalf. Manifests are now ready and will function as they always have. Destruction functionality is now ready and will function as it always has. All weekly reporting requirements have been automated in the UCS and are functioning as expected. If your laboratory is not yet enrolled in the UCS, please reach out to them to make sure they get registered ASAP so that you can receive sample results. They are able to register here. If you have not already done so, you need to follow the instructions found on the biotrack site immediately to ensure compliance during the LCB’s contingency period. BioTrackTHC’s Unified Contingency Plan has launched and is operating as expected; licensees need to make sure they have completed the necessary steps to begin pointing your commercial software to the Unified Contingency System. The steps, which MUST BE PERFORMED by BioTrackTHC paid customers, as well as licensees utilizing 3rd party software solutions, can be found here. We realize many of you still have questions, so if you would like to speak with a BioTrackTHC representative, you can do so by clicking here. You can also contact your LCB representative directly for questions about their contingency plan at (360) 664-1614 or email them directly at customerservicesupervisors@lcb.wa.gov. We will do whatever is necessary to make sure each of our customers experience as smooth and painless of a transition as possible, as well as those utilizing 3rd party software solutions, regardless of the agency’s contingency plan. If you need support or training, please contact us. What will happen to my historical data? The data contained within your business seed-to-sale system is your data; it is owned by you and safely secured on your local BioTrackTHC server. Nothing will happen to it. The data submitted from your system to the Traceability System is owned by the LCB and is in their possession. It is the responsibility of the new vendor to migrate the LCB-owned data from the Traceability System to the new Leaf Data Systems. Will BioTrackTHC be integrated with the MJFreeway Leaf Data? Yes, BioTrackTHC will provide full integrations with MJFreeway’s Leaf Data Systems with all license types; producer, processor, and dispensary. More Nevada licensees use BioTrackTHC to integrate with Leaf Data Systems in Nevada than any other software. Why should I transition from free trace to paid BioTrackTHC? BioTrackTHC is currently one of only a handful of companies that has successfully integrated with Leaf Data Systems in the state of Nevada. Because we have already integrated with them, we expect the transition to be painless for BioTrackTHC users. By switching from free trace to paid, you’re able to keep most of your workflows and all of your historical data. Should you choose a new software provider, it’s possible you’ll have to start from scratch, retagging and rebuilding your entire inventory. What makes the paid system better? Just like BioTrackTHC has always done with free traceability users, we will keep you safe by restricting users from accidentally entering noncompliant data. In addition to benefitting from the same compliance safeguards you enjoy today, you’ll also get increased support, compliant labeling, additional features and functionality, plus a comprehensive business tool that will allow you to harness your data and turn it into business results. Have questions or concerns? Let’s setup a time to chat. Click here to schedule time with a dedicated BioTrack representative. Interested in purchasing software? Please contact our knowledgeable sales team. Cultivators (also commonly referred to as Producers or Growers) – Cultivators are responsible for growing cannabis. Mature plants are harvested and transferred to a Processor. Marijuana Producer Tier 1 License – Allows for up to 2,000 square feet or less of dedicated plant canopy. Allows the production of cannabis for sale at wholesale to licensed cannabis processors and to other licensed cannabis producers. Marijuana Producer Tier 2 – Allows for 2,000-10,000 square feet of dedicated plant canopy. Allows the production of cannabis for sale at wholesale to licensed cannabis processors and to other licensed cannabis producers. Marijuana Producer Tier 3 – Allows for 10,000-30,000 square feet of dedicated plant canopy. 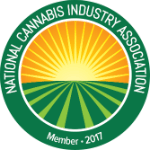 Allows the production of cannabis for sale at wholesale to licensed cannabis processors and to other licensed cannabis producers. Can I make changes to my Washington Producer License? Close your current business and move to a new location. Permits changes to qualifying persons for a publicly or privately held corporation or in a LLC. A change for sole proprietorship, general partnership, limited partnership, or limited liability partnership, will require a new application to be submitted. What kind of tracking system do I need to operate a Producer Facility? **Any entity and/or principals within an entity are limited to no more than three marijuana producer licenses. Marijuana Processor License – Permits the licensee to process, package, and label usable cannabis and cannabis-infused products for sale at wholesale to licensed cannabis retailers. Also permits the licensee to blend useable cannabis from multiple lots into a single package for sale to a licensed cannabis retailer providing the label requirements for each lot used in the blend are met and the percentage by weight of each lot is also included on the label. Can I make changes to my Washington Cannabis Retail License? Request physical alterations to your licensed retail premise, or to change your previously submitted operations plan. **Any entity and/or principals within an entity are limited to no more than three marijuana processor licenses. Laboratories (testing facilities) can test cannabis for concentration and contaminants. Prior to entering the consumer market, all regulated cannabis is required to undergo Quality Assurance testing. Established medical labs in Washington can act as 3rd party testing labs for testing both medical and recreational cannabis if they meet certain certification criteria. The WSLCB has partnered with the Center for Laboratory Sciences on the Campus of the Columbia Basin College to conduct the laboratory certification process. You can get more info on how to get certified for cannabis testing here. Marijuana Retailer License – Permits the sale of only usable cannabis, cannabis-infused products, cannabis concentrates and cannabis paraphernalia at retail in retail outlets to persons 21 years of age and older. Internet sales, online ordering and delivery of cannabis product is prohibitied in Washington. **Any entity and/or principals within any entity are limited to no more than three retail marijuana licenses with no multiple location licensee allowed more than thirty-three percent of the allowed licenses in any county or city. Caregivers can grow and process cannabis on behalf of patients. They cannot charge for cannabis, only recoup the costs of goods. Caregivers are also able to purchase cannabis on behalf of a licensed medical patient. In Washington, recreational cannabis is legal, so interested parties are not required to register as medical patients to obtain cannabis. However, possession/purchase limits and overall costs are affected for registered medical cannabis patients. How can I obtain a Washington Medical Marijuana Card? Get a Medical Marijuana Authorization – Receive a Medical Marijuana Authorization from a healthcare practitioner who is permitted to authorize marijuana for medicinal use. This will allow the patient to grow up to 4 marijuana plants. Join Patient Database and get a Medical Marijuana Card – After patients have received a valid Medical Marijuana Authorization, you can then join the medical marijuana authorization database, which will allow you to get a medical marijuana card from a medically-endorsed marijuana retail store (dispensary). This will allow you to grow up to 15 plants and allows the purchase of cannabis and cannabis-related products, sales tax-free. Patients under the age of 18 are able to follow the same process, however, they are required to register in the patient database. What are possession limits for a Medical Marijuana Card in Washington? Possession of up to 3 ounces of usable cannabis. Possession of up to 48 ounces of cannabis-product product in solid form. Possession of up to 21 grams of cannabis concentrate. How much can I grow with a Washington Medical Marijuana Card? **Numbers apply to patients that are registered in the state’s patient database. Allow up to 6 plants for personal, medical use. Possession of up to 8 ounces of usable cannabis produced from their grown plants. Allow up to 15 plants for personal, medical use. Possession of up to 16 ounces of usable cannabis produced from their grown plants. **Note: Patients and designated providers who aren’t entered into the patient database are limited to 4 plants and 6 ounces of usable cannabis, even if a higher number of plants is indicated on their authorization. Transportation – Most states require a special license, which permits the transportation of cannabis and cannabis-related products between licensed locations. Do I need a Cannabis Transportation License in Washington? A Marijuana Transportation license is required for the licensee to physically transport or deliver marijuana, marijuana concentrates, and marijuana-infused products between licensed marijuana businesses within Washington State. A license must be posted at each location where the licensee operates. You may not begin this business activity until you receive a Business License document listing the required endorsement(s). You can apply for a transportation license here. Washington’s recreational cannabis program is operated by the Washington State Liquor Control Board (WSLCB). Washington’s medical cannabis program is primarily operated by the state’s Department of Health, which is also responsible for the application and registration process for medical cannabis patients. For the latest cannabis-related legislative updates on Washington, check out our Cannabis Bill Tracker! WASHINGTON SUCCESS STARTS WITH CONTACTING US!